Keypad, written by Mark Stanley and Alexander Brevig, allows you to connect a Keypad with row-column matrix wiring. 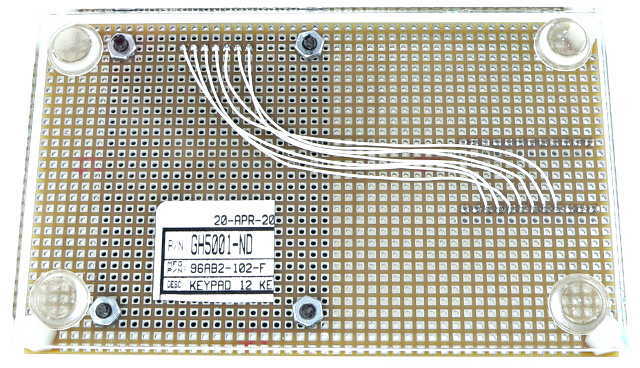 The keypad's signals may connect to any digital pins, but avoid using the one with a LED attached. In this screenshot, each key was pressed once. The getKey() function is simple and easy to use, but it can only report a single key. Keypad can detect multiple keys pressed simultaneously. Keypad can also report events, when each key is pressed, held, released, and idle after being released. An example for this more advanced usage can be opened from the menu: File > Examples > Keypad > MultiKey. 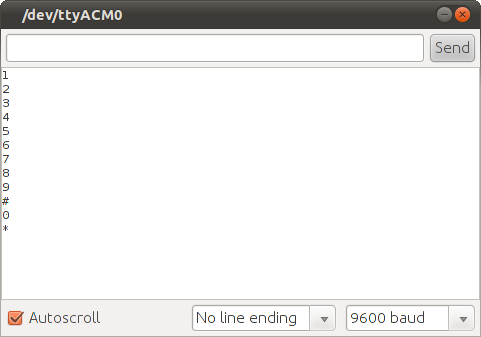 Arduino Playground Page has more details to use Keypad.